Peterson Real Fyre Charred Series Gas Logs reflect the glowing depth and fiery heart of a long burning fire. Real Fyre artisans work from actual wood samples to carefully recreate the intricate bark detail and natural coloration of deeply charred wood. Gas fireplace logs are convenient and easy to use for most gas fireplaces. The beautiful display and flame presentation of this Real Fyre Charred Wood gas log set is ideal for creating those magic moments and memories. These Peterson Real Fyre Logs can be used with commonly available fire pit ring burners. Allow a minimum of 3-6 inches clearance from the edge of logs to the wall of fire pit. Total number of pieces: 8. All logs have a flat, unfinished back or bottom. For use with vented gas log systems. This log set does not include a burner system. It must be purchased separately. 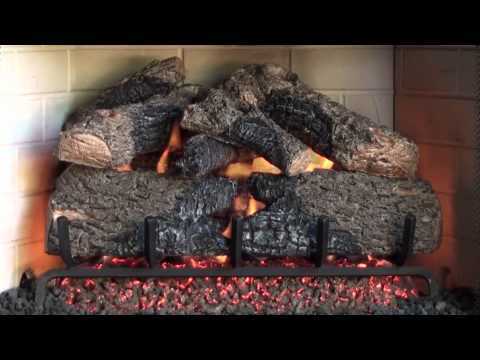 All Peterson Real Fyre gas logs are warranted for as long as you own them (lifetime).